Myself and my good friend and colleague Siri Scull, decided we wanted to create a community healing space for people to participate in a variety of classes, workshops or individual treatments in one beautiful location. 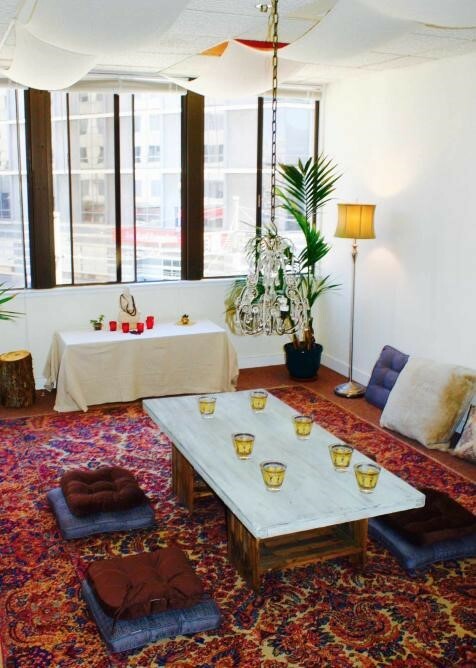 Currently, at SF Wellness & Arts we host 4 regular practitioners who provide services in; Individual Psychotherapy, Hypnotherapy, Nutritional Consulting, and Chi Nei Tsang Abdominal Massage, Somatic Therapy, Sound Bath Healing and Creative Expression. Please visit us on our website at www.sfwellnessarts.com to learn more about our upcoming classes! If you are interested in hosting a class, workshop, or being part of our collective as a regular practitioner, please contact us. We also offer affordable space to host your next meeting or group!